Invoice Balance will be adjusted immediately to reflect Payments Applied. Previous balances and payments are not reflected on the invoice. Payments made in the previous billing cycle are carried forward in a single batch to the following billing cycle. An Invoice for $100 goes out to the customer on 8/05/2012. 2. On 8/10/2012, the customer makes a partial payment of $75. -Click on the System tab. 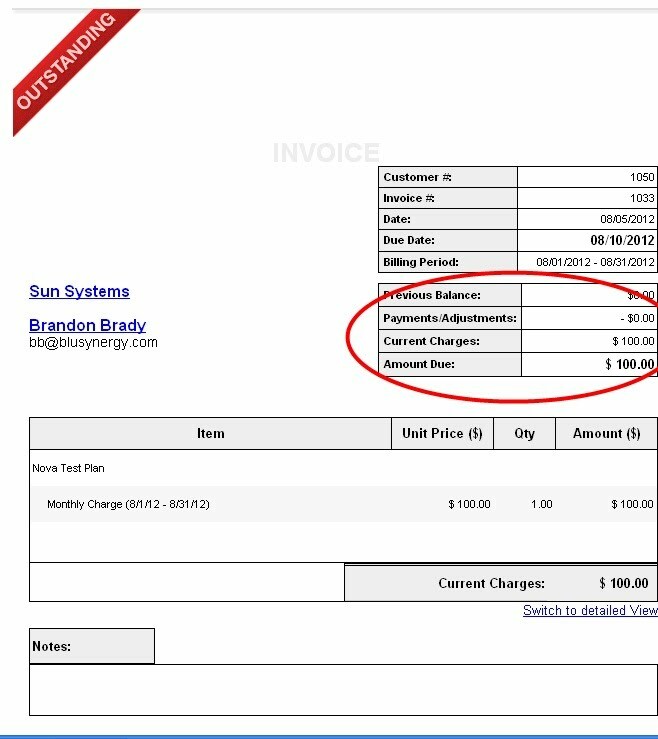 Please Note: If you are changing your existing invoice mode, please inform Support@blusynergy.com so that we can make sure your reports reflect this change.